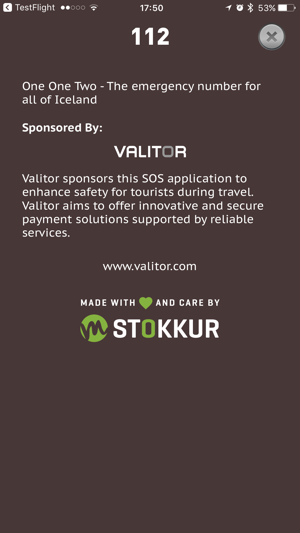 Official app for Icelands emergency service 112. 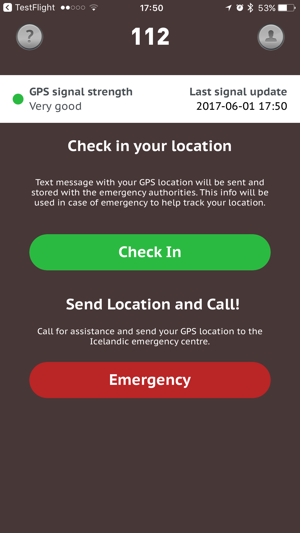 The app sends an SMS to the Icelandic emergency service 112, with the phones GPS location, before calling 112. 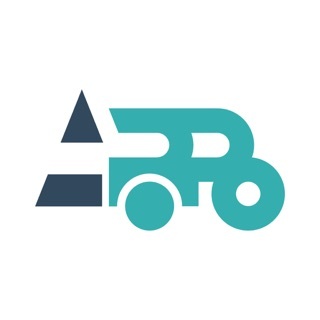 You understand and agree that the creators of this application are under no circumstances liable for any direct, indirect, incidental, consequential or exemplary injury or damages resulting from the use of this application. The GPS position will not be more precise than what your device is able to show. 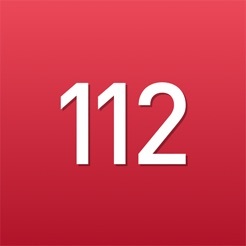 You also understand that the app will dial 112 - and that this number may have different purposes in different international regions. Á eflaust eftir að bjarga fleiri mannslífum og spara tíma við leit.